The Fellowship was fortunate enough to obtain a copy of SNOW ANGEL from Dark Horse Comics. The story, illustrations, and lettering is by David Chelsea. 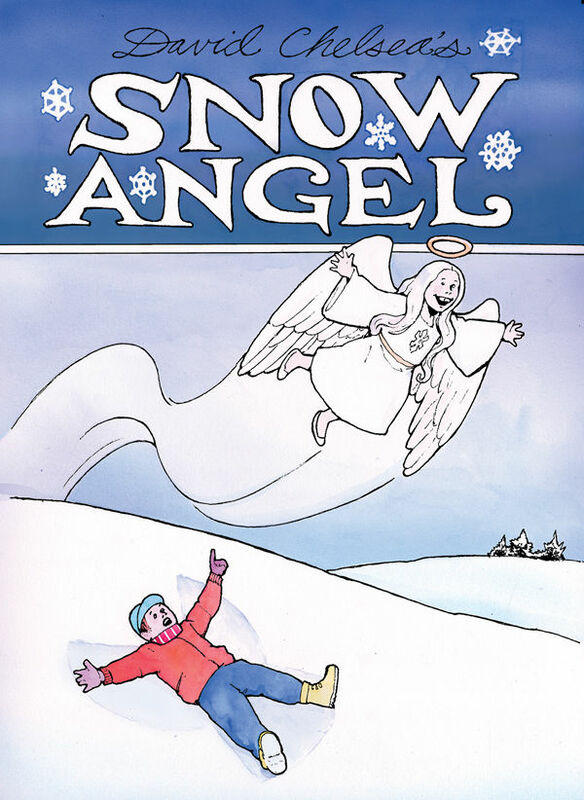 The one-shot collects the SNOW ANGEL episodes that were originally published in DARK HORSE PRESENTS issues #1-#3. We meet this little girl who becomes a crime-fighting angel when she makes snow angels. When she finds out that the family is moving to Arizona (where it doesn’t snow), what lengths will she go to change this fact? The backup story, THE KIDS MOVIE, features two girls (the first daughters?) who go see a movie based on a book they like. But how different will the movie be compared to the book? The two stories are geared to all age groups. The main story is cute and really enjoyable. Chelsea even created a couple of ads for Snow Angel tie-ins and a theme song which you could “follow the bouncing snowball.” Even the ad detailing what challenges Snow Angel will face in the next issue was funny. The backup story pokes fun at the summer movie blockbusters, just wish I could have liked it more. SNOW ANGEL is in stores now or available at www.darkhorse.com.